Remember when Mexican food was a box of hard-shelled tacos, a block of cheddar and a packet of spice mix? We've moved on from those days. 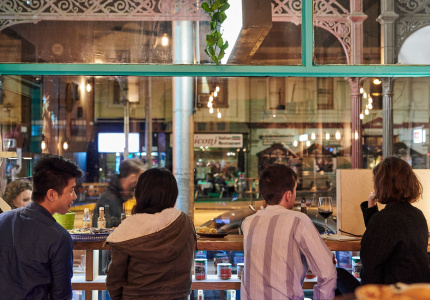 Not only are Melbourne's next-generation cantinas importing the obscure chillies, types of corn and other ingredients required to make authentic Mexican food, they have the drinks to match. 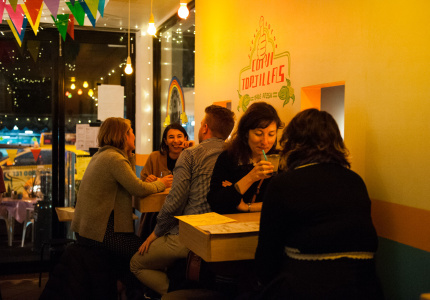 So do it like the Mexicans do: order a few rounds of tacos or tostadas, and match with a michelada, tequila or mezcal. 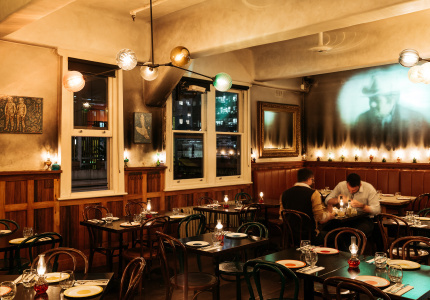 There were many Mexican restaurants before this one, but owners Nick Peters and Matt Lane were the first restaurateurs to bring a faithful representation of Mexican food to Melbourne. This "hot babe" has been around since 2010, and there are still queues on the stairs for its elotes (grilled corn) and flavoursome tacos. 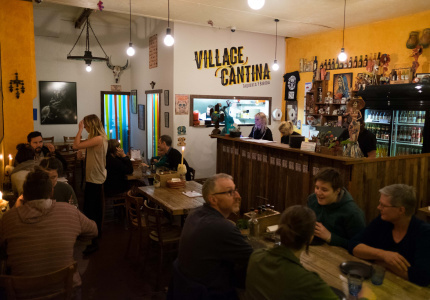 Venue number two from the Mamasita crew introduced a careful element of kitsch but lost none of the attention to detail that made its older sibling such a hit. Take a seat at the bar, order a frosty Michelada and snack on some huitalacoche (corn fungus) tacos. Even if you've been to Mexico, you won't find the experience lacking. If Mexicans had one complaint about Mamasita and Hotel Jesus, it might be that the two restaurants elevate tacos – traditionally a humble food – into something too constructed and cheffy. 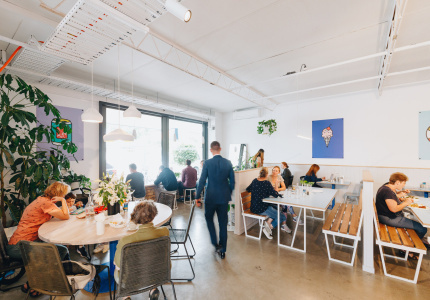 La Tortilleria is more like what you'd find in Los Angeles or Mexico itself: a basic sort of place, where house-made tortillas come on colourful plastic plates and it's up to diners to customise with the salsas as they see fit. 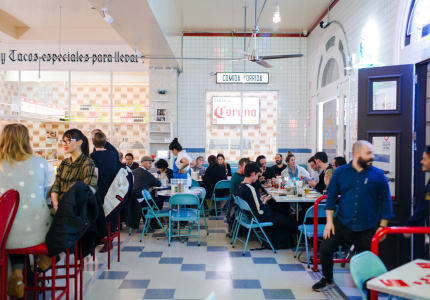 Melbourne's other big tortilla-maker, El Cielo, is behind this lively cantina. 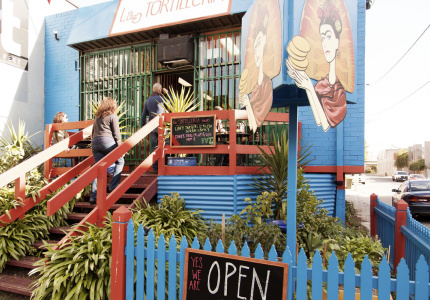 Like La Tortilleria, it sticks to doing things simply, without cutting corners. 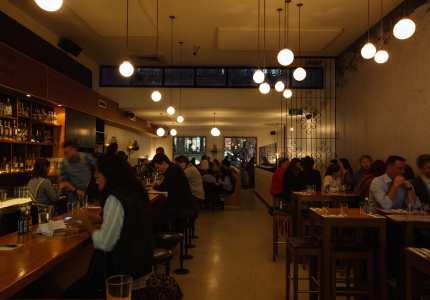 But it's also an excellent place to try dishes relatively uncommon in Melbourne, such as tamales, tortilla soup and molletes. 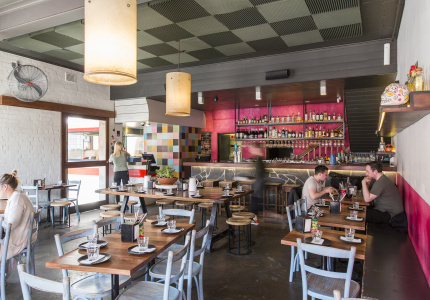 This colourful restaurant was another early entrant on the scene. 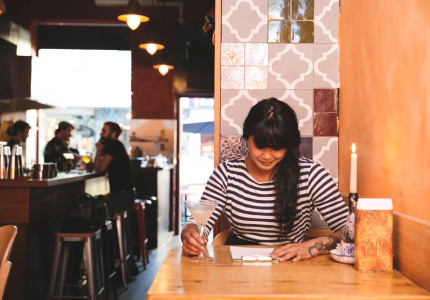 Owner Adele Arkell has a strong commitment to quality. She uses the organic version of El Cielo’s regular nixtamalised white-corn tortillas. They cost more, but Arkell reckons they’re worth it. Ditto for the Herradura Plata tequila that goes into every Margarita (which are two-for-one on Mondays), with a dash of cold-pressed citrus juice. Half restaurant, half bar and always a party. Owner Bruno Carreto was born in Mexico and did a stint in a taqueria there before opening Los Hermanos. As you'd expect, the tacos and gorditas are the real deal. Don't forget to choose a tequila or mezcal from the blackboard. Los Hermanos moved into this bar a while back and never left. 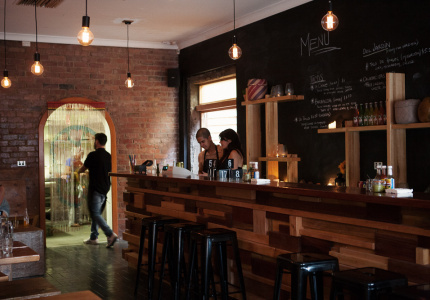 It's a simple kind of place, with just two beers on tap and tunes spinning away on the turntables behind the bar. Local hospitality workers like to stick their heads in for a quick chat and a taco before their shift. 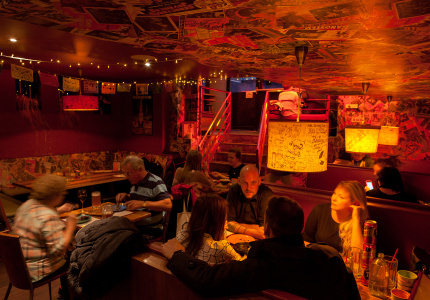 It’s open until 1am on weekends, so many return for wind-down drink after work too. 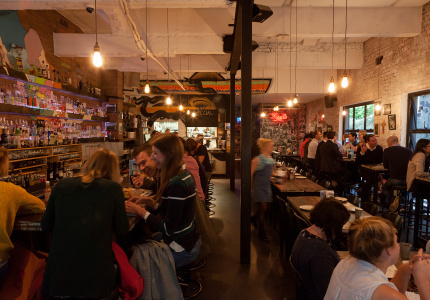 This dim, characterful basement serves a wide range of proper taco until 3am every night of the week. Do you even need to know more? Okay: there are 70 mezcals and 20 tequilas on the back bar. 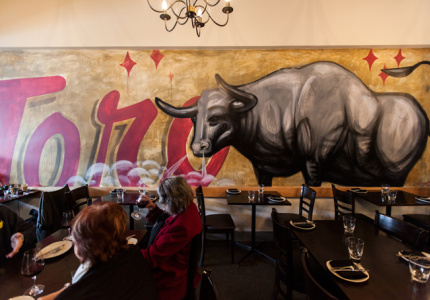 This restaurant-bar hybrid and its next-door neighbour, Mezcalito, are inspired by the Latino street-art culture of Los Angeles. The food stretches further than that, though. 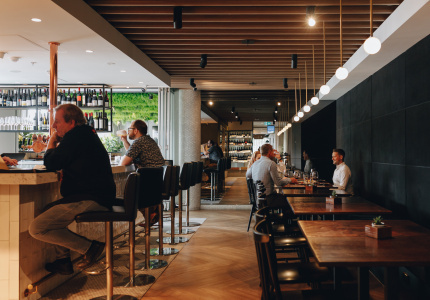 Expect shareable snacks such as rockling and scallop ceviche or goats cheese and jalapeno croquettes, rolled and fried with tapioca. Highlights from the taco menu include the twice-cooked octopus on a blue corn tortilla and the Al Pastor pork with habanero salsa. 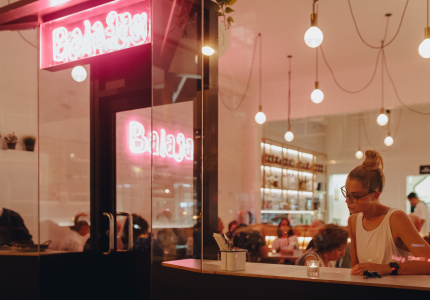 This relatively new restaurant has been eagerly taken up by Highett locals, who no longer have to schlep to St Kilda or the CBD for real Mexican food. Three native chefs are in the kitchen here, making tacos, quesadillas and a wicked lamb barbacoa. After a holiday to Mexico, housemates Scott Witham and Andrew Wilson brought Tulum beach back home to Melbourne. Their taqueria and bar is in part a tribute to José, a local beach bar owner Witham met in Tulum. The “tacky disco” décor is reminiscent of the seaside bars they frequented together, and Wilson hand-presses tortillas each day. The sombreros, skulls and artwork you’ll find dotted around this restaurant once belonged to Mexican families. Everything is styled to feel like you’re dining in a 1950s Mexican home, replete with laminated tabletops and peeling turquoise paint. Chef Cindy Flores is another import, who predictably keeps the menu on track. 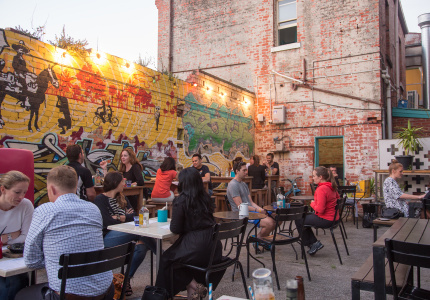 In summer, make a beeline for the courtyard, which feels readymade for downing Margaritas. Garen Maskal and his cousins, Aret and Sasoon Arzadian, are best known for their modern Armenian restaurant, Sezar. But at the Black Toro, they prove they're not one-trick ponies. 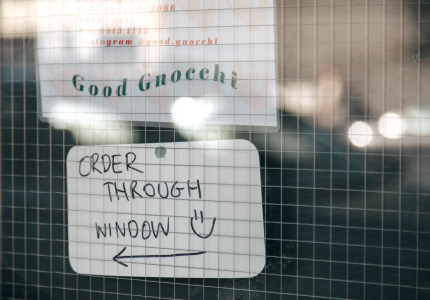 The menu here isn't especially authentic – e.g. fried chicken ribs with chipotle mayo – but it's not thoughtless fusion, either. Visit for creative spins on quesadillas, tlayudas (Mexican pizza, in effect) and achiote chicken. 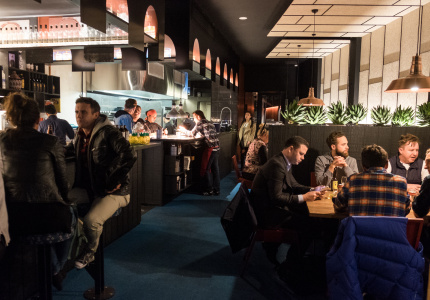 This bar inside Curtin House is focused on drinks first and foremost (tequila, naturally), but the food's no B-team. El Cielo tacos include pork belly with charred pineapple; black bean and chimmichurri; Baja fish and cabbage; and lamb barbacoa with guajillo chilli salsa. There's also larger mains such as lamb ribs and southern fried chicken, plus sides and desserts. Andy McMahon and Spanish chef Frank Camorra run this colourful, retrofitted shipping container. 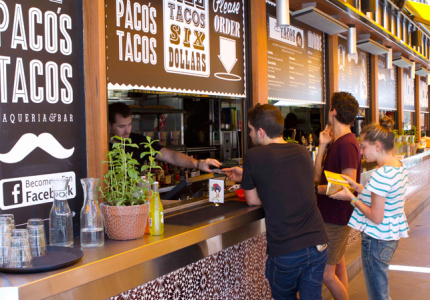 The compact menu offers just six tacos, but they're made with as much care as you'd expect with Camorra supervising the show. Pair with a cocktail and you're all set. This bright, buttercup-yellow restaurant is inspired by owner Rob Wilson's travels through Central America. Entrees lean North American and include jalapeno poppers and chilli fries. Things get more serious at mains, where tacos, quesadillas, burritos and nachos are made with El Cielo tortillas.